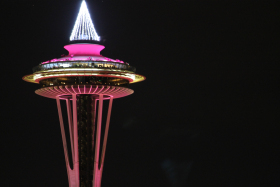 SEATTLE, Wash. — If you looked up at the Space Needle Wednesday, you may have seen three tiny figures moving around on the outer edge of its roof. They are employees for Pyro Spectacular, the company that’s running the fireworks show for New Year’s at the Needle on Thursday. “It’s a complicated show,” said Ian Gilfillan, executive vice president of Pyro Spectacular. Gilfillan is in charge of the Seattle show. 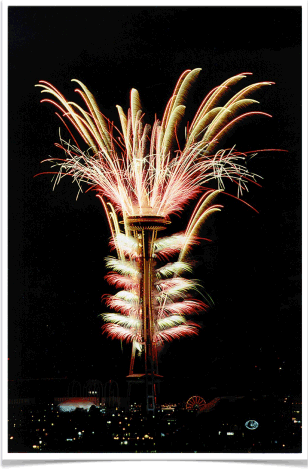 The show will include 1,800 individual fireworks fired from 84 separate locations on the Space Needle, spanning more than three levels. The fireworks are synced with music. You can watch the entire show on KING 5 following the 11:00 pm newscast.